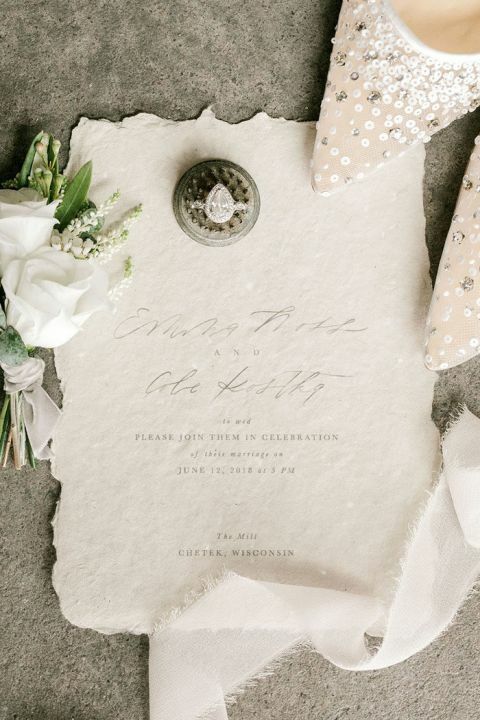 Romantic rustic style meets French elegance in this utterly sweet Wisconsin barn wedding shoot from Christy Janeczko Photography and Allure Premiere Event Florists! 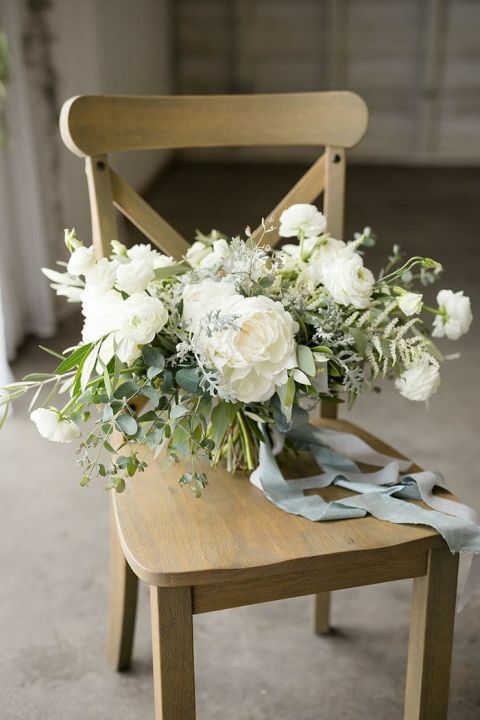 The whitewashed surroundings of ceremony and reception venue, The Mill Events, inspired the light and airy palette of white, gray, and subtle tones of blue and organic green. 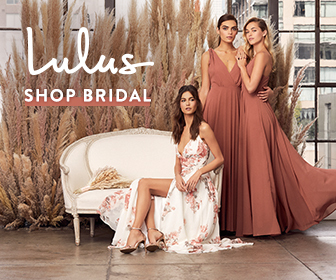 Organic elements, from the hand lettered calligraphy ceremony backdrop to the old-world inspired flowers, created an atmosphere of ethereal beauty and summer sunshine. 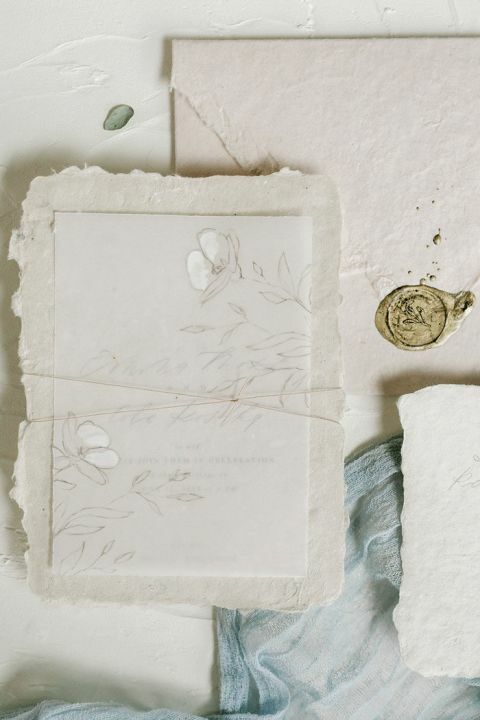 Mint for Hue created an invitation suite with handmade paper and delicate brush illustrations in a neutral palette to complement the soft and organic tones of the rest of the decor. The pop of sparkle from the bride’s shoes added a touch of glamour, while the pear-shaped engagement ring was just to die for! To create an ethereal woodland ceremony, Mint for Hue hand lettered love quotes onto a chiffon backdrop that added romance to the summer forest setting. 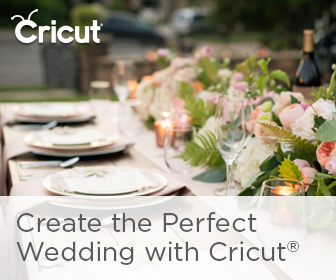 The delicacy of the ceremony decor was a perfect complement to the bride’s dove gray wedding dress with applique lace. 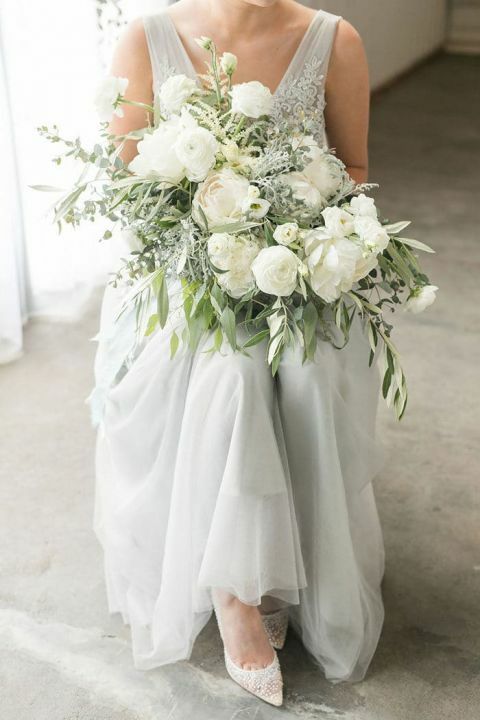 Allure Premiere Event Florists drew inspiration from the French countryside to create the bride’s bouquet and flower headpiece with soft white peonies, ranunculus, and roses, accented by silver greenery and a silk ribbon to add the perfect ‘something blue’. Antique copper decor, gray taper candles, and soft white flowers with greenery created an old-world feel to the table decor, accented with modern earthenware plates and handcrafted paper to add organic elements. Even the cake had a secret detail, with a hand lettered chiffon ribbon adding elegance to the tiers of pale blue buttercream!